These passes are valid for 24 and 72 hours respectively from the validation. Short-term tickets are valid 90 minutes after validation. The pass is valid only after the validation. Otherwise your pass/ticket will not be accepted by controller. In this case you have to pay a supplementary charge. Supplementary charge is 1500 CZK. 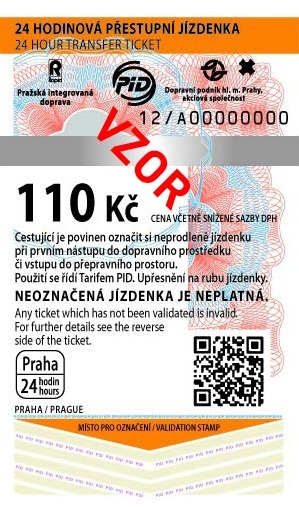 Validation of the tickets: you need to validate your tickets only once. Subway: before entering the subway, buses and trams: right after getting on them.